Residents of Ikorodu in Lagos State now sleep with machetes and whistles as survival strategies against the dreaded Badoo cult, terrorising the area. An investigation by the News Agency of Nigeria (NAN) in the area on Tuesday revealed that virtually every household in Ikorodu now has whistles and machetes and other implements for self-defence. A resident in distress is expected to blow the whistle many times to signal the presence of Badoo cultists. It will be recalled that scores of women and some family members have been killed in the area in recent times, the latest being a family of five hacked to death in their sleep. Kazeem Yusuf, the Chairman of the Egba-Otun Community Development Association, CDA, in Itaolowu, Ikorodu, told NAN that residents had resorted to self-help. He said that able bodied-people in families were being drafted by the CDA to participate in vigilance-keeping during the night. “It is the government that asked every CDA in Ikorodu to sensitise its members to the need to have whistles and machetes ready at hand, especially at nights. “The whistle when blown for long will indicate the presence of those terrorising us. “It will urge close residents to come to the aid of the `whistle blower so that the bad people can be over-powered,” he said. According to Yemisi Toluope, the Vice-Chair of Ereko-Central CDA at Muti, Ikorodu, residents are now united in their battle against the Badoo group. She commended the government of Lagos and Ogun States for working assiduously with the CDA to combat the menace of the group. “The CDA structure is the best way to get the people to be involved in their safety and survival,’’ she said. However, a cleric, who preferred not to be named, advised the residents not to adopt jungle justice in dealing suspected members of the cult. “Mob killing will only bring further curse and woes to Ikorodu. “No society grows in glory when it does not encourage natural justice. “We know that the Badoo cult has caused us heartache and pain but that is not enough reason for us to have recourse to jungle justice and burning and maiming suspects. “Our government must ensure that we the people do not condescend to the level of these miscreants and killers by our actions,’’ he argued. 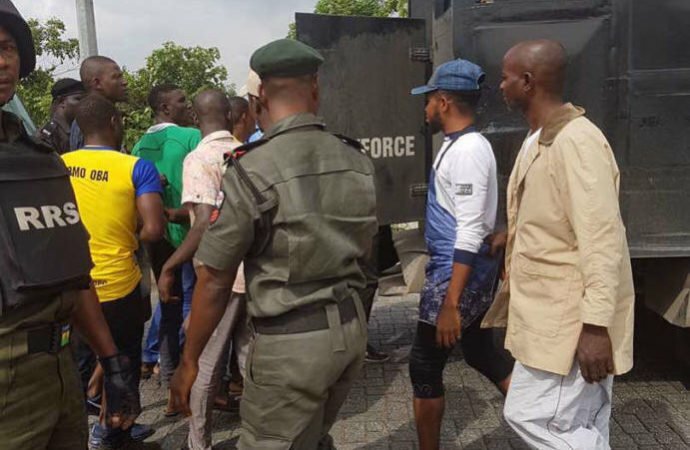 A Muslim cleric, who also pleaded anonymity, appealed to Ikorodu residents to allow the police take apprehended suspects into custody for further investigation. “Natural justice must rule over justice of the jungle,’’ he said. The police recently announced the arrest of 138 suspected members of the cult group.